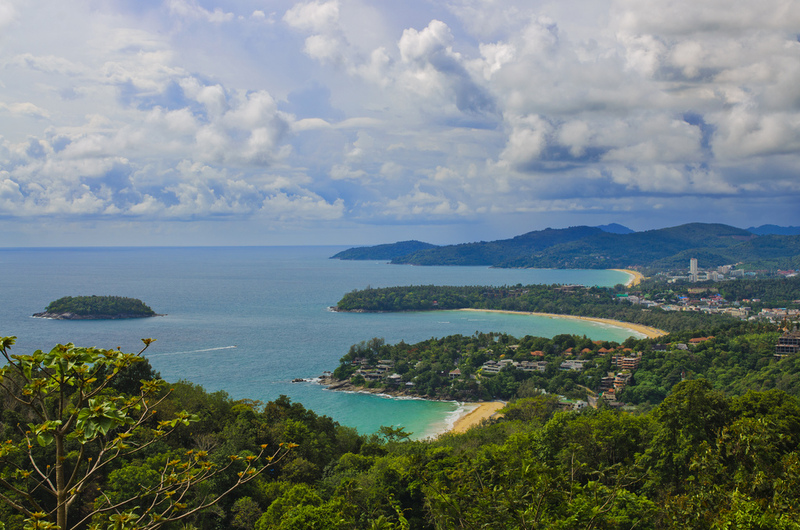 Explore all Phuket’s major landmarks, visit Phuket’s gems factory—the best place to buy all sorts of authentic souvenirs and jewelry—and learn more about Phuket, Thai culture and traditions with your guide. 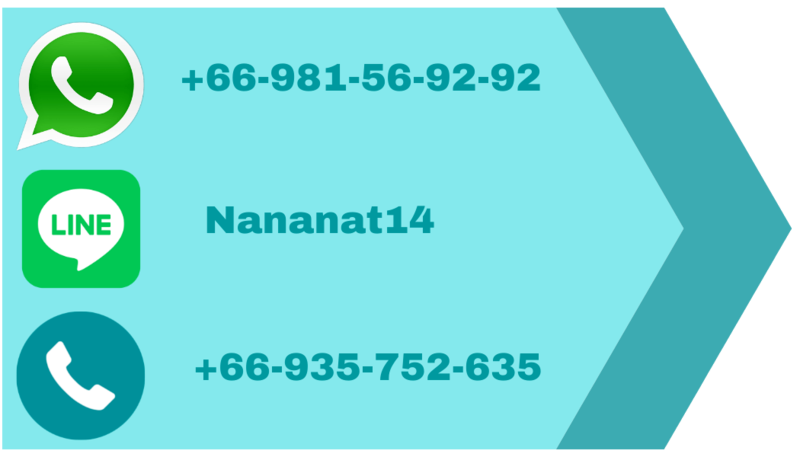 After taking memorable pictures and trying your luck, your tour continues to the elephant camp which is located at the foot of Big Buddha Hill, almost in the center of Phuket. Here you will mount an elephant and explore a hilly area covered by jungle while sitting atop a giant but gentle animal. We recommend you take off your shoes before you sit on the elephant because it is safer for the animal, and you also can feel its skin by your feet. 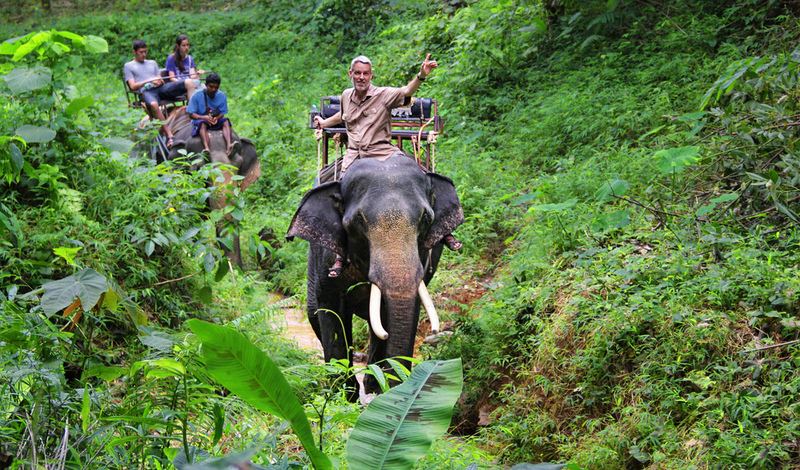 Mahout will lead the elephant all the way through while you enjoy vivid tropical flora and beautiful views. This is your chance to learn more about the elephants, observe their behavior, and see how strong and smart they are. After a half-hour elephant trek, you will come back to the camp. 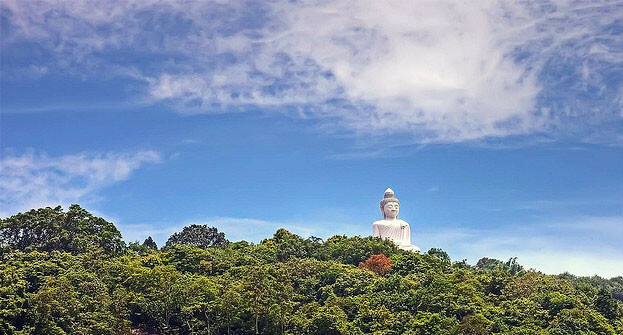 From there, you leave to visit Big Buddha Hill. Phuket’s Big Buddha is one of the island’s most important and revered landmarks, visible from almost everywhere. You will have enough time to explore it, enjoy a fascinating bird’s-eye view of the island, and take memorable pictures. Next Stop is Wat Chalong. 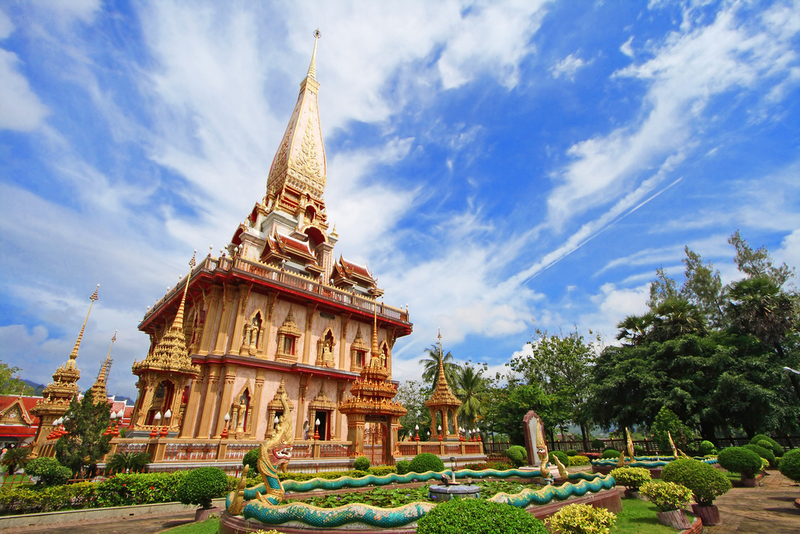 The Wat, or temple, became a symbol of Thailand and Wat Chalong is a shining example of those. It is the largest temple in Phuket and is well-decorated with beautiful colors and innumerable images of Buddha and pictures from Thai and Buddhist mythology. Your guide will explain to you more about Thai beliefs and traditions. Time for shopping! 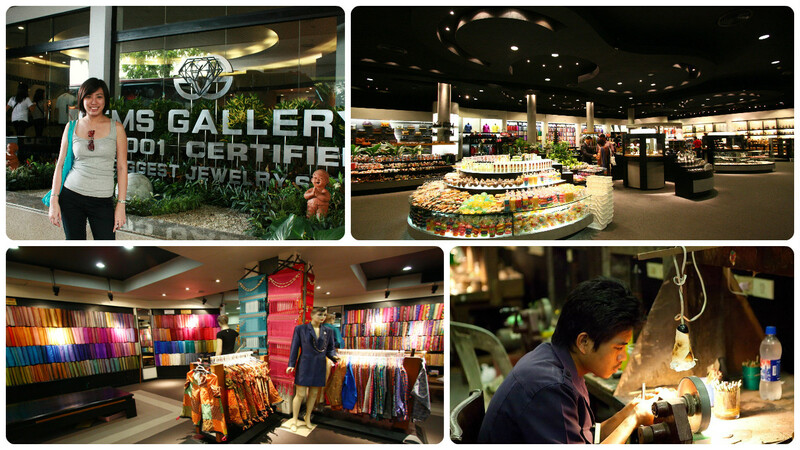 You will visit the world’s biggest jewelry and gems centre. ( Thailand is a leading producer of sapphires and the world’s largest cutter of coloured stones.) Here in the jewelry factory, you will see the whole process of how a stone turns into beautiful jewelry. 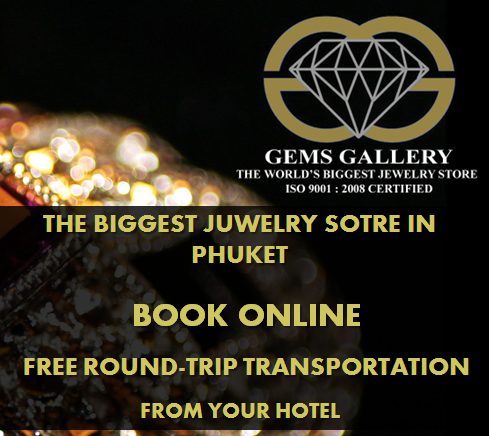 Phuket’s gems gallery is not only a jewelry factory, but also a great place to buy some authentic souvenirs such teak woodwork, Thai silk, products from snakes and crocodile leather, aromatic products and many more. Quality and prices here are some of the best on the island. The total duration of the tour, including transport to and from your hotel is approximately five hours. Approximately pick up time is 9:00 am.